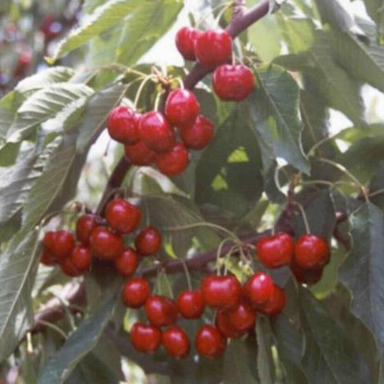 Tulare has grown to be a mainstay in the warmer cherry growing regions of California. 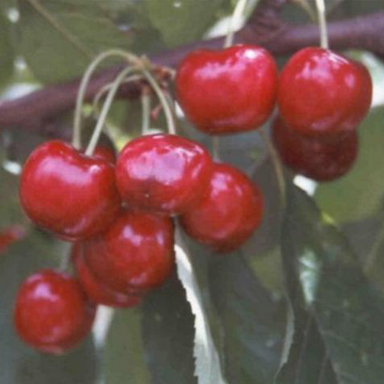 It is a smooth fire engine red cherry that ripens a few days after Brooks. It is very crack resistant and virtually non-doubling. 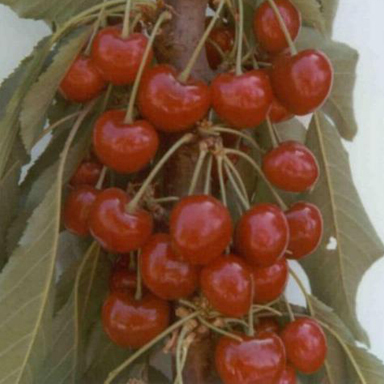 It is firm, juicy, sweet and medium size and has been a good export variety. It blooms about 5 days before Brooks and Brooks may be used as a late pollinator, and Tulare cross-pollinates Brooks. The cropping is usually sufficient with reasonable weather and chill.